Correct billing has become a serious problem in the American medical industry. Some groups estimate the percentage of errors made by medical billing services at somewhere between 80% to 90%. One audit of American hospitals made a startling find. It found that on average, a $10,000 medical bill contains an erroneous $1,300 of undue charges. Errors made by medical billing services don’t just cost patients the big bucks. They make billing service departments look sloppy, uncaring, and untrustworthy. 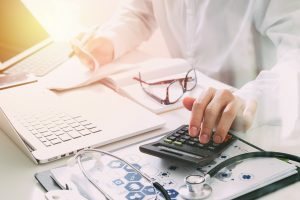 There are a number of ways you can improve your medical billing process to prevent errors from occurring. Below, we’ve listed some of the most common errors and how to address them. Inserting the incorrect code is the top reason why insurance companies reject patients’ claims. In fact, 80% of claim rejections are the result of coding errors. Doctors and their staff members are only human. It’s a given that everyone who’s ever worked in the medical field has written down the wrong code at some point. It’s all too easy to accidentally switch around numbers or incorrectly read the coding cheat sheet at the billing desk. Cloud-based medical billing systems are efficient at reducing the number of billing errors. These systems, which update automatically, have all codes already programmed into them. Staff members can select codes rather than risk typing them incorrectly. If all else fails, have a second member of your staff review claims. Sometimes a second pair of eyes helps you catch subtle errors. Every insurance company has a procedure in place for admitting new claims. This procedure allows staff members to process claims more quickly. When you are in-network with an insurance company, you agree to follow this procedure. Failing to follow it results in the increased risk of rejection. Additionally, refiling the same claim could cost you an appeal and resubmission fee. It’s a good idea to review insurance company submission protocol periodically. In fact, some practices spend at least 5 hours a week reviewing insurance company protocols. Many companies offer review material, including website information and webinars. If nothing else, contact the insurance company and ask questions. Questions asked now prevent trouble later. Insurance companies rely on complete and correct information to find your patient in their databases. A small misspelling of the patient’s name or switched numbers in their date of birth will lead to a claim denial. There are a few ways you can go about verifying your own records. The first is to have the patient check their records when they come in for an appointment. You can take this opportunity to get additional information, such as who is the policyholder on the insurance plan. The second is to cross-check your claim form with the patient’s records. Again, having a second pair of eyes do the cross-checking can catch subtle errors that the first pair missed. Many insurance companies impose deadlines on how far out you can file a claim. The deadlines vary depending on the insurance company policy, but most policies require a claim to be filed within two years. Some require it within as few as 30 days. Medical billing services can run into problems here. Typically it doesn’t take more than a day or two to file a claim, depending on how busy the office is. However, the insurance company can take several weeks to process that claim. But the claim was submitted on time, right? What if it the claim contains an error, which is likely, and is rejected past the deadline? In that case, insurance companies can deny additional claims on grounds that they weren’t filed in a timely fashion. To prevent this from happening, follow up with the insurance company periodically — once a week, if need be. Use a medical billing service program to keep track of what has been filed, when, and its deadline. Not all services are covered by insurance companies. All patients with health insurance are issued policy information, usually in the form of a card. That insurance will list co-payment requirements as well as which services are covered. Make a photocopy of the information and keep it in the patient’s records for easy referral. Another cause for insurance companies not accepting claims is the policy no longer covers the patient. All policies have start and expiration days, which can be renewed on a yearly basis. Not to mention, insurance companies can immediately terminate coverage. One common cause is patients not paying their monthly insurance bills. Another is losing employment at a company through which they received their policies. Always double-check with the patient when they come in to make sure you have their latest insurance information. Doing so could prevent a claim rejection or the submission of an unnecessary claim. Many medical billing services now submit electronic claims. Many others still stick to submitting paper claims. If your billing service uses paper claims, they must ensure they use neat handwriting on the forms. Sloppy handwriting that is hard to read can lead to questions about the information included. When information isn’t clear, the claim is often rejected. In some cases, patients must reschedule or cancel appointments. Despite the schedule change or cancellation, sometimes claims still end up getting submitted. In other cases, claims have already been submitted. Staff members don’t check the patient’s records or don’t keep track of claims, so they accidentally resubmit the claim. Doing so creates confusion and uses time that could be dedicated to filing other claims. Again, a calendar or note of filing in the patient’s records could cut down on duplicate or unnecessary claims. Need Medical Billing Services? Contact Us! At Rev-Ignition, we understand how important having a reliable medical billing service is to you and your patients. We help you reduce costs while maximizing payments. And we collaborate with you every step of the way. To find out more, reach out to us today!